In the table above, you can see that Fairfax County Public Schools is the largest school district in the area in terms of enrollment with over 175,000 students approved to be enrolled for the 2011-2012 school year. But, being the largest, do the economies of scale allow it to have one of the lowest costs per student? 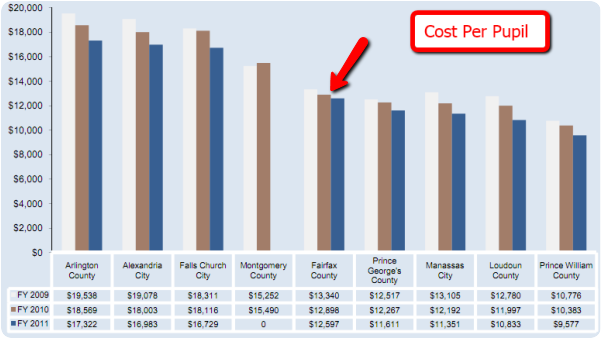 As expected, partly due to a lack of economies of scale, the smaller districts such as Arlington, Alexandria and Falls Church spent almost 50% more than Fairfax County per student in FY 2010. 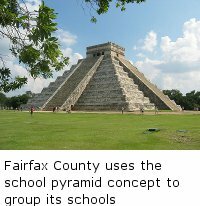 Compared to all of its neighboring school districts which average a cost per pupil of $14,424, Fairfax County spends less than the average ($12,898 for FY 2010). According to the table above, for the school year 2008-2009, Fairfax County was in 3rd place for Virginia on-time graduation rates. However, it was in 2nd place for percent of graduates going on to post-secondary education (91.7%) and it had one of the lowest dropout rates of the region (1.43%). 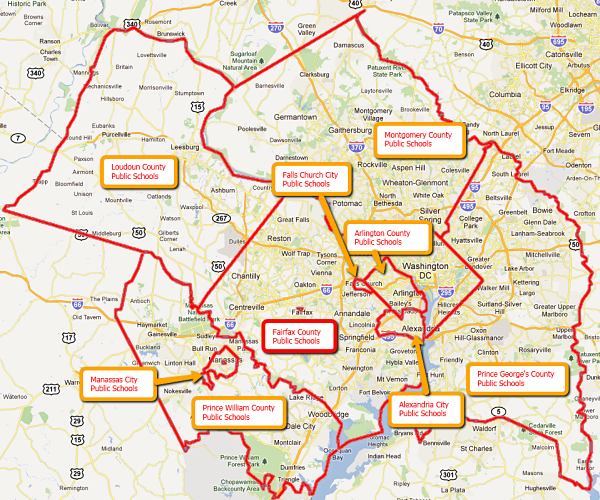 This information points to the fact that Fairfax County Schools, is the largest in the region and that it also spends its budget in providing high quality education for its students. 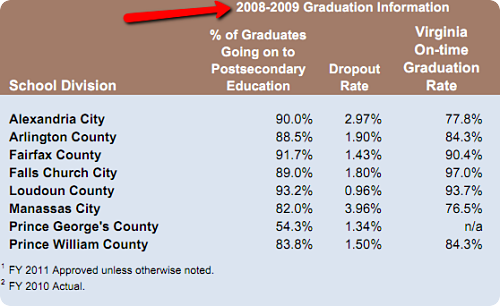 FCPS has an over 90% Virginia on-time graduation rate – one of the highest in the region. 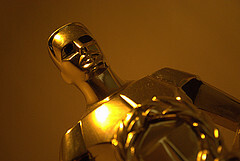 Fairfax County Public Schools spends its budget on quality education for its students… should we give it an “Academy Award”?